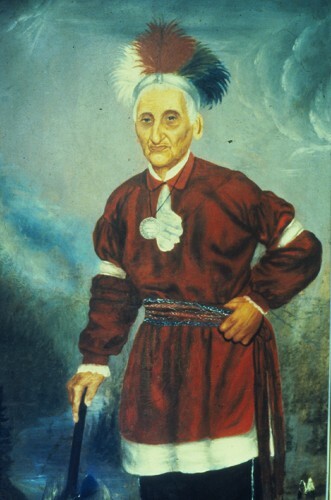 Governor Blacksnake. Also known as Chainbreaker. In Seneca he went by Tah-won-ne-ahs or Thaonawyuthe. Unknown birthdate but since he fought in the 7 Years War and he died in 1859 he was at minimum 110 years old. Perhaps no man saw more in his time on Earth. He watched the Six Nations go from its height as Superpower to a fractured group of reservations. Portraits of the "Four Indian Kings" These paintings were commissioned by Queen Anne in 1710 when they visited her.